John Galliano is one of the few designers adept at using bold colours and theatrics. 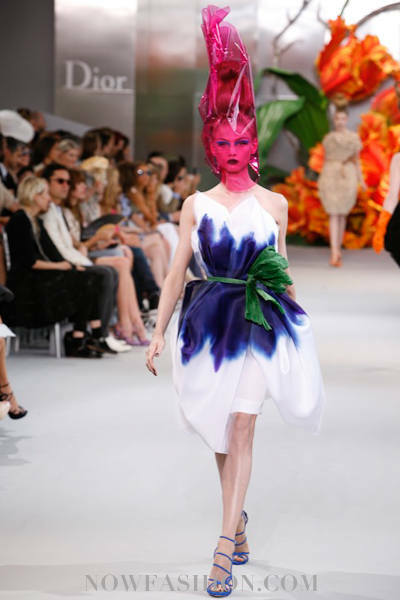 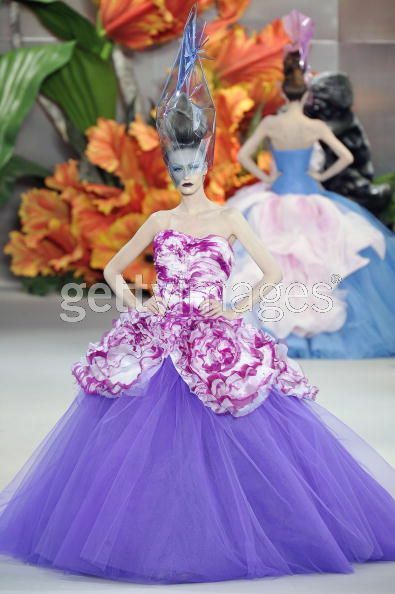 Held at the famed Musee Rodin, Galliano gave a whole new meaning to the term 'flower power'. 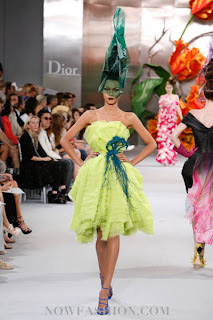 Models walked down the ramp with cellophane around their heads mimicking bouquet wrappers. 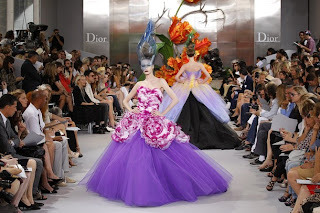 Inspired by Christian Dior's Tulip collection, technicolour gowns and dresses with realms of tulle and frill reminiscent of various hued flowers in a garden. 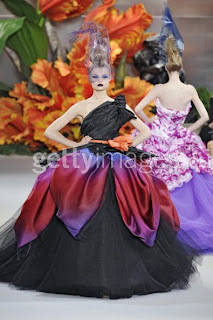 My personal favourite ? 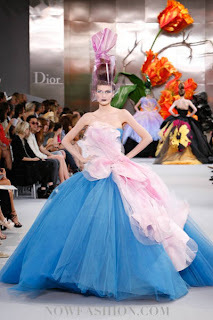 The white dress with blue blotting.